Norwich City boss Paul Lambert can look back on 2010 with a huge sense of satisfaction. After guiding the Canaries to League One promotion he is now steering them – not just to Championship survival – but to a possible promotion push. Their lofty position has been achieved thanks to a run of ten games with only one defeat throughout November and December. However, they won’t have things all their own way against Middlesbrough. 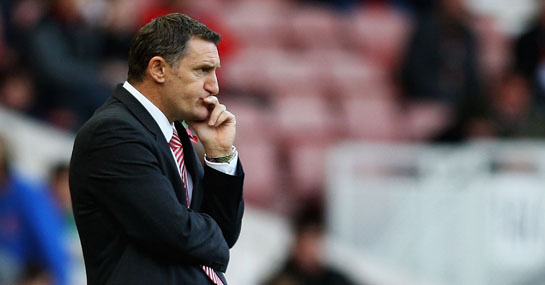 Tony Mowbray’s side have lost only two of their last six games (getting vital wins against Preston and Cardiff in the process) and have climbed out of the relegation zone. With Norwich boasting the second best away record in the league, this looks set to be a close encounter. Back the draw at 23/10. Bottom of the table Preston face second from bottom Crystal Palace in a massive Bank Holiday clash. Both teams are managerless following the recent sackings of bosses George Burley and Darren Ferguson and Preston will have their work cut out after winning just one of their previous 19 away games. Palace have improved on their abysmal start to the season and have not lost in their last four games at Selhurst Park. Back a huge win for Palace at 10/11. The Swans couldn’t buy a win away from home at the start of the season, losing their first four on the road. Things got a lot better for Brendan Rodgers’ side though and the south Wales side went on a six game unbeaten run away from the Liberty, before losing their last two against Sheffield United and QPR. With Leicester boasting the seventh best home record in the league, backing a tight game to finish level at 23/10 looks well worth a bet. A £10 bet on Leicester and Swansea to draw 1-1 pays out £55 . New customers can sign up here for a free £10 bet.